Trowbridge were forced to make changes due players being unavailable and this led to a very disjointed performance. Headington came and left with a 100% league record and deserved their victory. At best Trowbridge may have claimed a point. There were early chances for both sides but neither goalkeeper was really tested until the 22nd minute. Headington nearly taking the lead but for Adam Sheppard finger-tipping a volley over the bar. Early in the second half, Chris Tricker was through on goal but the 'keeper made a comfortable save. Headington took the lead after 55 minutes. Baldwin heading a corner in at the near post. 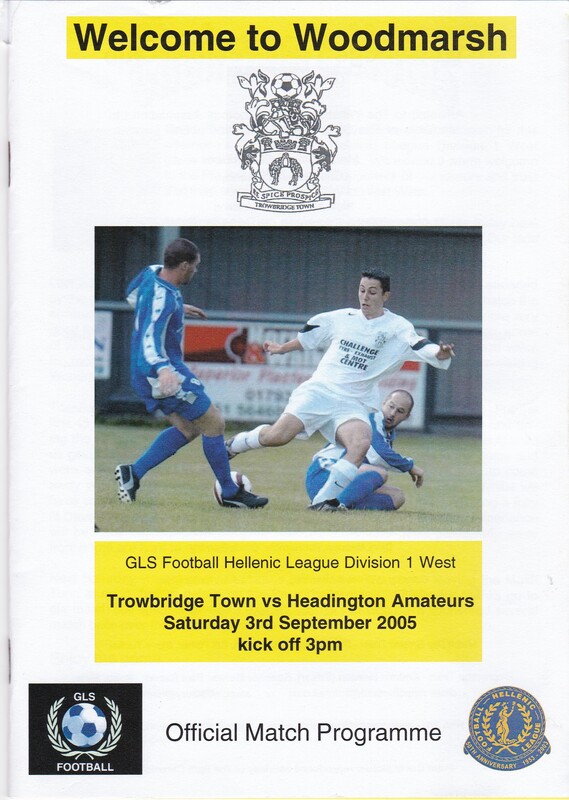 Trowbridge responded quickly with a fortunate equaliser. A Chris Tricker overhead kick should have been cleared by a defender on the goal line but all he could do was help the ball into the roof of the net. Dave Percival nearly grabbed the lead for Trowbridge in the 80th minute when the Headington 'keeper gifted him possession but the shot across goal just missed. Headington played the ball quickly up the field from the resultant goal-kick and Wichall drove a low shot past Sheppard to give the visitors the lead. Five minutes later Baldwin scored again following a scramble after a corner to make the game safe for Headington. In the dying stages Trowbridge were down to 10 men when substitute Brent Murden was dismissed for retaliation.